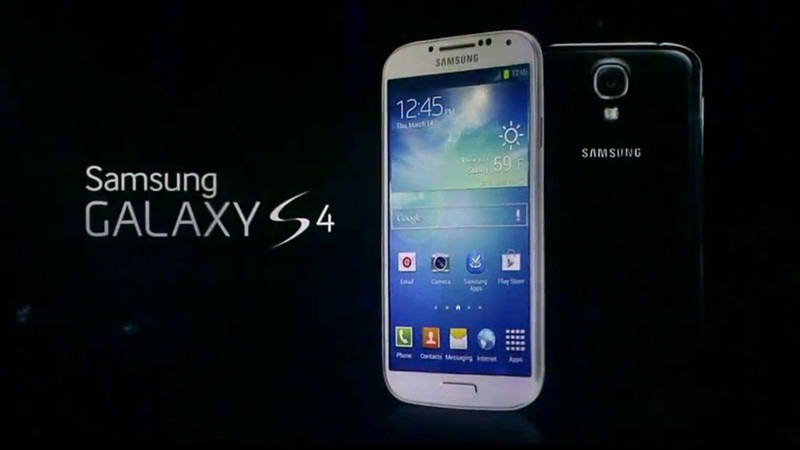 Here are the simple step-by-step instructions for changing the language displayed on your Samsung Galaxy S4 and its keyboard. 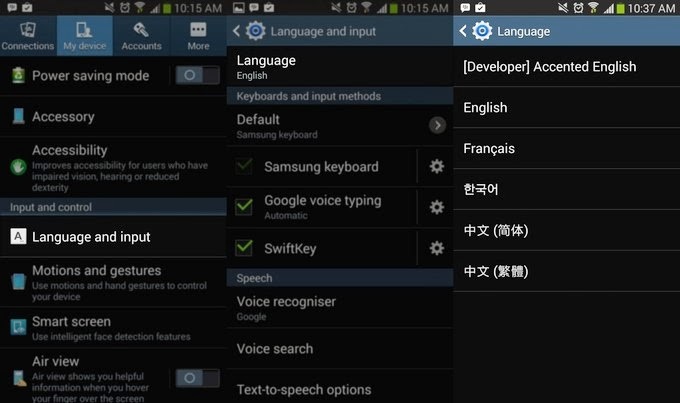 Whether you’re trying to get Spanish, French, Korean, or any other language on the Samsung Galaxy S4, here’s how to do it. Making this change will affect all of the default apps, user interface elements, Google apps (including Google Now), and any other third party apps with the appropriate language support. Keep in mind you’ll have to change keyboard settings separately, but we’ll show you how to do that too. Swipe down from the top of the screen to access the notification tray. Tap the settings gear icon in the top-right. Tap the My Device tab at the top. Tap Language and input under the Input and control subheading near the bottom. Tap Language at the very top. Tap the language you’d like to switch to. Under Keyboards and input methods, tap the gear icon next to the keyboard that you use. 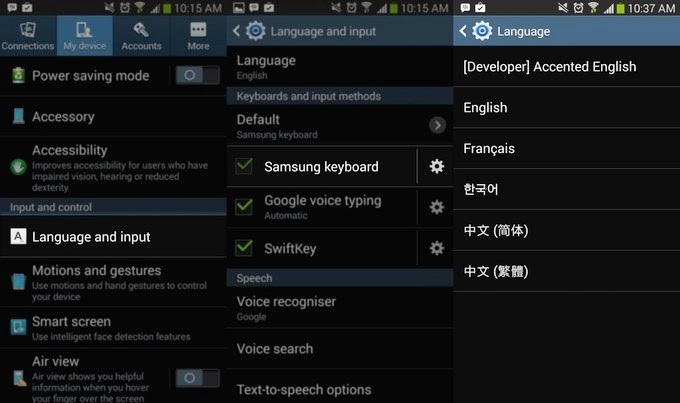 When using the Samsung keyboard, tap Select input languages to add additional language support. Remember, your keyboard can provide prediction and characters for multiple languages at once. What if I can’t find my language? If your language isn’t in the list, things get a little complicated. 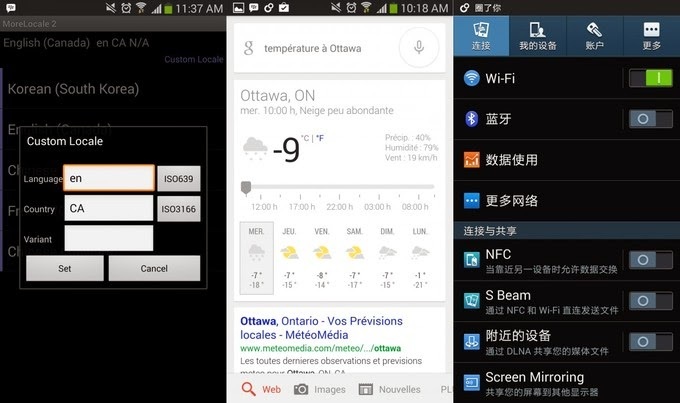 Manufacturers can’t jam every language into the Android OS that they load onto their devices, and usually include only ones that are popular to keep lists simplified. You can, however, designated country and language codes and download language packs with the right app. This requires root access to the device, which is another challenge altogether. Run MoreLocale 2 and tap custom locale, near the top. Tap the ISO639 and ISO3166 buttons to pick your country and language from the list, and tap Set.